Many thanks! The frosty view out the window. Thanks, Beth. Nature is always amazing. Thanks, Xenia. Looking at the window at the right time. What a cool photo (get it?) Seriously, it’s lovely–wouldn’t the pattern be pretty turned into fabric? I do get it! 😉 It would be pretty turned into fabric. Actually doesn’t bother me that much, even though I know it should. 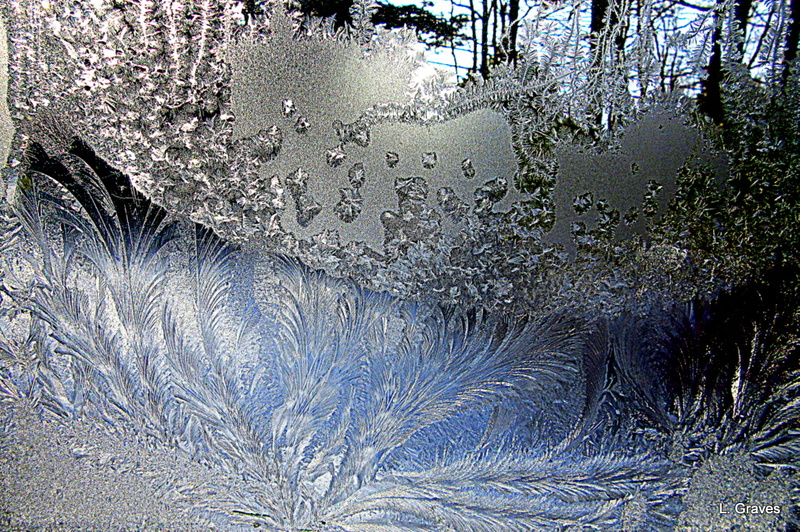 Love the beauty of frost on the window. That’s a great shot. Well worth the winter weather.